My wife and kids loved Coco Bongos inside Pocono Raceway. Basically, you buy one of the carved coconut shells, which comes with one refill. You can buy more refills as needed. They had all the flavors, many of them twice. 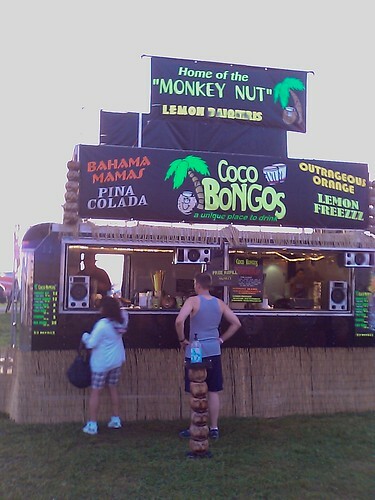 This was the second year we've been to Pocono and Coco Bongos was there each year. The vendor also goes to other racetracks and events.